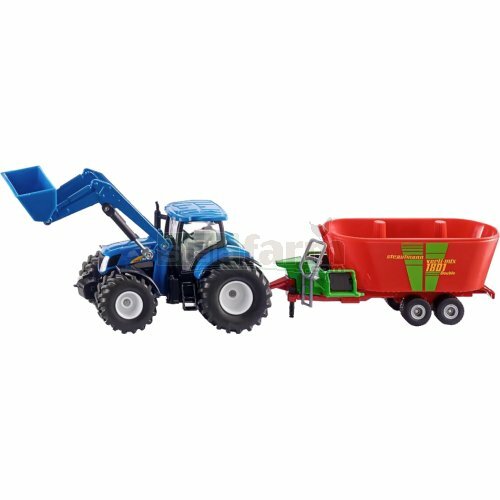 Die cast metal model New Holland T7070 tractor with front loader and Strautmann Verti-Mix 1801 double fodder mixer. With removable cab, original decal detail, front weight and rear 3-point hitch. Front loader arm raises and lowers, bucket tilts and dumps. 2-axle fodder mixer with movable mixing mechanisms, swinging feed hatch, adjustable support leg and towbar hitch.